Kennedys And King - "Maurice Bishop ... was David Atlee Phillips"
"Maurice Bishop ... was David Atlee Phillips"
Please consider supporting our efforts. John Kelin reports on the letter Antonio Veciana wrote to Marie Fonzi on the occasion of the 50th anniversary of the JFK assassination, confirming the identification of Phillips with the alias Maurice Bishop. When he first confirmed that David Atlee Phillips was the CIA contact known as "Maurice Bishop," Cuban exile leader Antonio Veciana did so tacitly. But Veciana's meaning was so clear, and his guile so transparent, there was no doubt; both he and House Select Committee investigator Gaeton Fonzi began laughing. Now, decades later, Veciana has explicitly stated that Phillips (right) was indeed Bishop, and that he did indeed see Phillips with Lee Harvey Oswald in September 1963 – thus formally linking a high ranking CIA officer with the JFK assassination. Veciana's admission came in a written statement issued November 22, 2013, the fiftieth anniversary of the assassination. In a letter to Fonzi's widow Marie, Veciana, the elderly, former leader of Alpha 66, said, "Maurice Bishop, my CIA contact agent was David Atlee Phillips. Phillips or Bishop was the man I saw with Lee Harvey Oswald in Dallas on September 1963." Fonzi wrote of his encounters with Veciana in his 1993 book The Last Investigation, which describes his experience with the House Select Committee on Assassinations in the 1970s. At the time of his first meetings with Veciana, Fonzi was a staff investigator for Sen. Richard Schweiker (R-Pa.), a member of the Senate Select Committee on Intelligence and co-chair of the Sub-committee on the John F. Kennedy Assassination. Fonzi told Veciana he was exploring links between government agencies and Cuban exile groups. On March 2, 1976, Veciana told Fonzi that two months before the assassination he rendezvoused with his CIA contact "Maurice Bishop" in the lobby of a downtown Dallas office building. Bishop was already there when he arrived, Veciana said, and in the company of a young man he later recognized as Lee Harvey Oswald, the alleged JFK assassin. In subsequent HSCA testimony, however, Veciana did not identify Phillips as Bishop. But Fonzi independently determined that "Bishop" and Phillips were one and the same. Phillips was also called before the HSCA, and under oath, denied both using the name Maurice Bishop and knowing Veciana. That ended the matter. Although Fonzi believed they could make a case for perjury, HSCA Chief Counsel G. Robert Blakey declined to bring charges against Phillips. In the early 1960s Alpha 66 was a leading anti-Castro organization, funded by the CIA. During the course of their meetings Veciana never explicitly told Fonzi that Bishop was really Phillips. Fonzi believed that Veciana would not make the identification because he thought Bishop/Phillips could further aid him in his goal of toppling Cuban leader Fidel Castro. 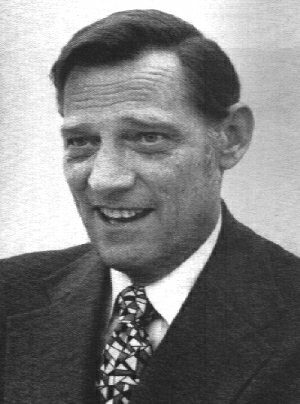 David Atlee Phillips was a CIA officer for 25 years. At the time of the assassination he was Chief of Cuban Operations, based in Mexico City. He died in 1988. Initial reports of Veciana's 2013 statement erroneously said Veciana had died. CTKA obtained a copy of the statement from former HSCA staff member Dan Hardway, who got it from Marie Fonzi. The bulk of this account is derived from the Appendix to Hearings Before the Select Committee on Assassination of the U.S. House of Representatives, Vol. X, pp. 37-56, and from The Last Investigation, by Gaeton Fonzi, Chapters 16 and 44. A former public radio announcer and technical writer for Sun Microsystems, John Kelin co-founded Fair Play magazine in 1994, where he presented the work of many Kennedy assassination researchers and writers. Along with a number of important articles on the case, Kelin is author of Praise from a Future Generation (2007), the untold story of the "first generation critics", based in part on correspondence from the 60s to which he was granted full access by Vincent Salandria. Read more here. Was there a Wedding Ring? Dedicated to the political vision and legacy of John and Robert Kennedy, Martin Luther King Jr., and Malcolm X, and to the investigation of their murders.